MacDonald, Ann-Marie. Goodnight Desdemona (Good Morning Juliet). New York: Grove, 1990. Careful readers may have noticed that I'm catching up on reading and posting about Shakespeare-related books. I have a few more to do, but then I'll put the film back in Bardfilm. 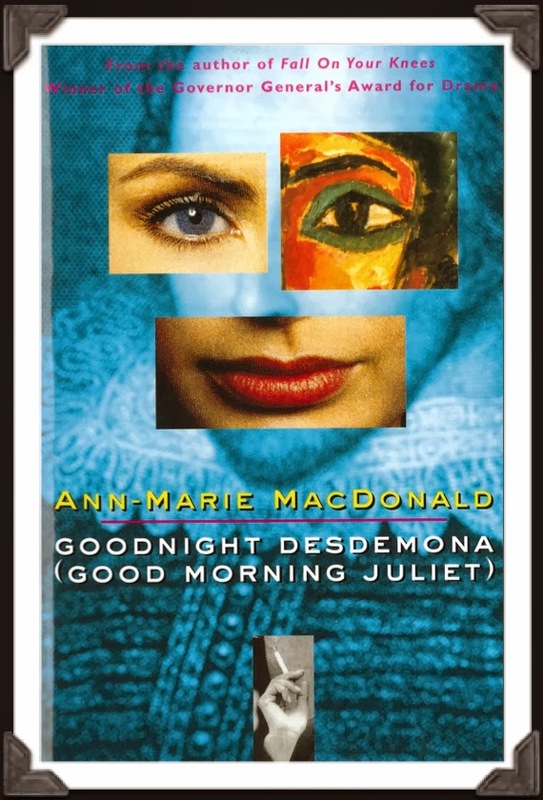 Goodnight Desdemona (Good Morning Juliet) is clever, amusing, and thoughtful. Although I Hate Hamlet (for which, q.v.) is still my favorite modern Shakespeare-related play—well, I should remember that Rosencrantz and Guildenstern are Dead is also my favorite—this one is right up there. The plot involves a junior professor of Shakespeare at a university. While working on her project, she falls into her wastepaper basket and ends up in the plot of Othello, just as Iago is convincing Othello of Desdemona's perfidy. Without thinking, she tells Othello and Iago is a liar and pulls the handkerchief from Iago's back pocket to prove it. Othello is overjoyed, but Iago is demoted and starts to plot a new revenge—this time, on this scholar from the future who has spoiled his plot. The professor then ends up in Romeo and Juliet, dressed as a boy. A whole host of Shakesperaean mistaken identity / falling-in-love-with-the-wrong-person activity takes place—and that's where to describe more of the plot would be to spoil it.